Fleeting moment did you say? 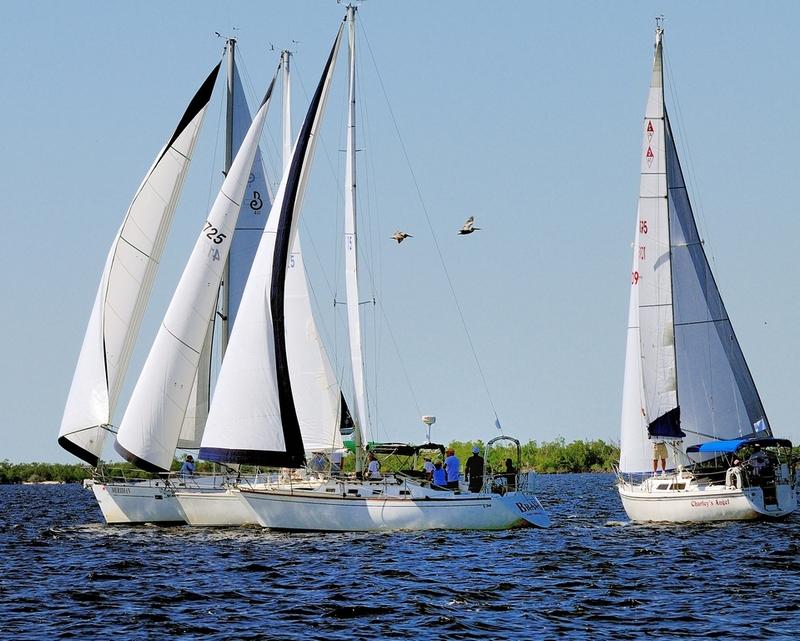 Well, here is part of a fleet of racing sailboats on Charlotte Harbor in Punta Gorda FL. They are converging on a mark and it’s a close race. There is another fleeting moment in the picture, a pair of brown pelicans framed by the masts as they fly by. This entry was posted in Bird, Photography, Wordpress Photo Challenge and tagged charlotte harbor, Eastern Brown Pelican, postaday, Punta Gorda, sailboat. Bookmark the permalink. It was the pelicans that first caught my eye – love them! Great shot!